Enterra Feed Corporation has closed a major financing round led by ADM Capital’s Cibus Fund with participation of German based PHW Group, a prominent Canadian family-owned investment group, and existing investors, Wheatsheaf Group and Avrio Capital. With the addition of three major funding partners, Enterra Feed is on track to complete construction of new facilities in Alberta (2019), British Columbia (2020) and the Midwestern U.S. (2021). Each plant will cost approximately $30m to build, substantially increasing the company’s production of its insect-based feed ingredients which are a sustainable substitute for traditional, resource-intensive ingredients for animal feed. Enterra is the first company to receive regulatory approvals in the U.S. and Canada for its insect ingredients, following extensive trials and data collected in conjunction with research institutions across North America. Enterra products are also registered in the EU Trade Control and Expert System (TRACES), allowing export to all EU member countries for use in aquaculture, with approvals for poultry and pig feed expected. This article has been edited. It first appeared on Private Capital Journal, a site managed by CPE Media Inc, the official data provider for PCMA. Read the rest of the article here. Click here to subscribe to the Private Capital Journal. PCMA members receive a 10% discount on all their subscriptions. Part of your subscription fee goes to support the PCMA. 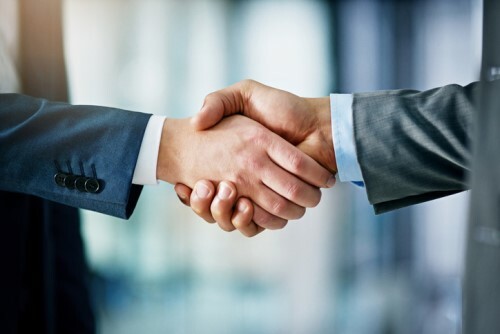 TriWest Capital Partners, in partnership with senior management team, acquired PRT Growing Services Ltd. from Mill Road Capital. Government of Canada investing $1.28B through Canada Infrastructure Bank in the Réseau express métropolitain project (REM) in Montréal, a 67-km, light rail, high-frequency network with 26 stations. Unisync (TSX-V: UNI) to acquire Utility Garments from BDG and Partners, Harold Geyer and David Miller for $24.86 million in a cash-and-stock deal. New Water Capital acquired Brockville's Trillium Health Care Products, a premier contract manufacturer of category-leading OTC products for pharmaceutical companies.